Our Senior Orchestra members picked up where they left off in spring with consummate ease. Helped in part by the continuity and calibre of tutors, conductor and the further development of one key piece from the repertoire. 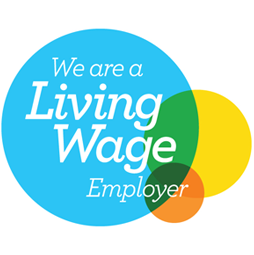 All hallmarks of the NYOS Educational Pathway. As in spring, conductor Catherine Larsen-Maguire led some conducting workshops. The student conductors each had the chance to lead their favourite section from the programme. This was a great success again and a bonding experience enjoyed by everyone. Our amazing line up of tutors led the Orchestra through some tricky and demanding repertoire over the first few days. Some even volunteered to lead morning warm ups, including singing sessions and breathing workshops. 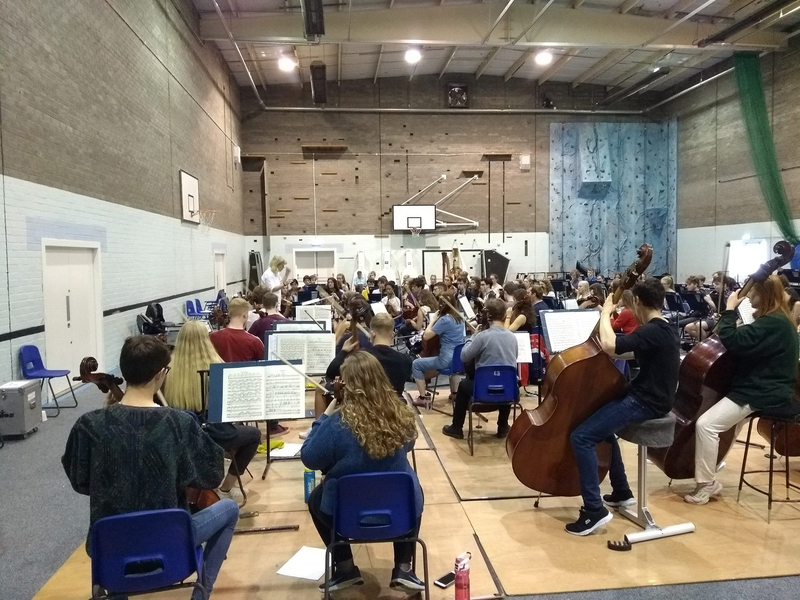 The students once again demonstrated their professionalism and were all fully engaged during rehearsals and sectionals, and this dedication really shone through in the concert. 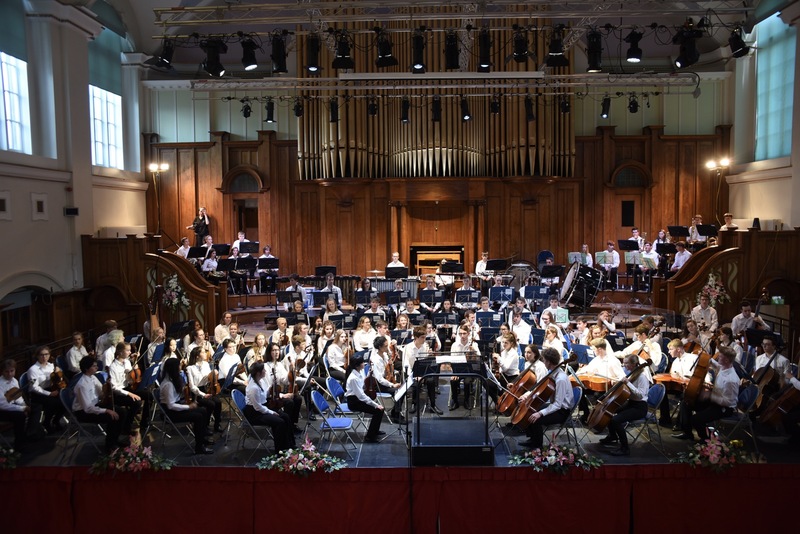 The Orchestra delivered an outstanding performance in what was probably their most challenging programme to date. After opening with an evocative performance of Bax’s Tintagel, an ode to the eponymous Cornish castle, the Orchestra performed Jennifer Higdon’s river sings a song to trees. The piece, written in 2002, presented a rare opportunity to highlight the percussion section, with a range of extended techniques across multiple instruments, demonstrated with clarity and enthusiasm by the respective players before the piece. Perhaps the highlight came after the interval, with an arresting performance of Rimsky-Korsakov’s Scheherazade. The vibrant score showcased all sections of the orchestra, who responded with great energy to Catherine Larsen-Maguire’s conducting. The famous violin solos were played with exquisite musicality by Molly McGregor. 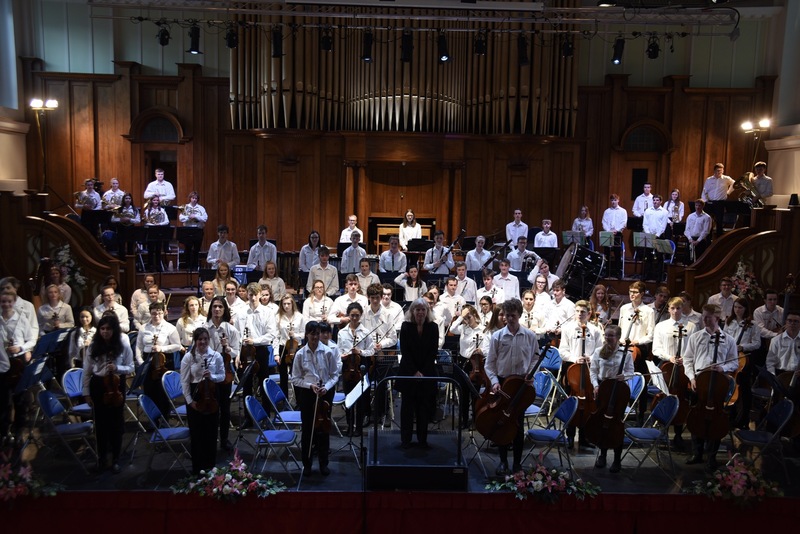 All in all, the Senior Orchestra players have once again showed great promise and given every reason to be excited for the future of the NYOS Symphony Orchestra.